If you want to enjoy your favorite tunes while you’re at work, commuting or working out, tangled wires shouldn’t get in your way. With TOCCs Wireless Bluetooth Cloud Buds, you’ll have to fumble with your earphone cable again. At TNW Deals they’re just $29.99 (normally $109) including US shipping and $34.99 with international shipping for a limited time only, so get them now to take advantage of this unbelievable price. These beautifully designed in-ear headphones can wirelessly stream your jams from up to 30 feet away — so if you’re at home, the office or the gym, you don’t even need to have your mobile device on you. Plus, the sleek remote control lets you control audio playback and even take calls with its built-in mic. Built for comfort, the Cloud Buds are feather-light and include ear hooks to for a secure fit. They also come with multiple sizes of gelled ear buds and caps, so you get the best sound and maximum comfort while rocking out to your music library. 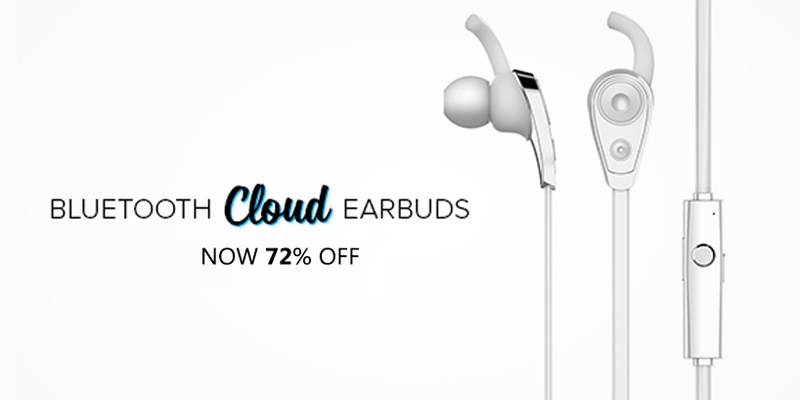 Get your own pair of Cloud Buds at 72 percent off from TNW Deals now!